At the beginning of this year, I lost someone special and very dear to me: my grandfather. I’ll admit that we only became close in the last couple of years, and although he had his faults, his sensitive and comedic nature garnered him many friends throughout his life. His death was not sudden nor was it unexpected, but when it happened, it really him home hard. Oh how I wish I had hugged him so tightly the last time I saw him. As he was the last grandparent of mine, I felt that a major chapter in my life had just ended. All those small moments, like bringing him his favourite sugar cane juice in Dubai or even him telling me just how attractive BW’s grandmother was, will now become memories, and I can’t help but face the fact that I’m now an adult. My parents have become the grandparents – scary! Well, the last thing he would have wanted was me to be upset, and as a man who loved to eat out (that must be where I got it from), it only makes sense to write this review in his honour. 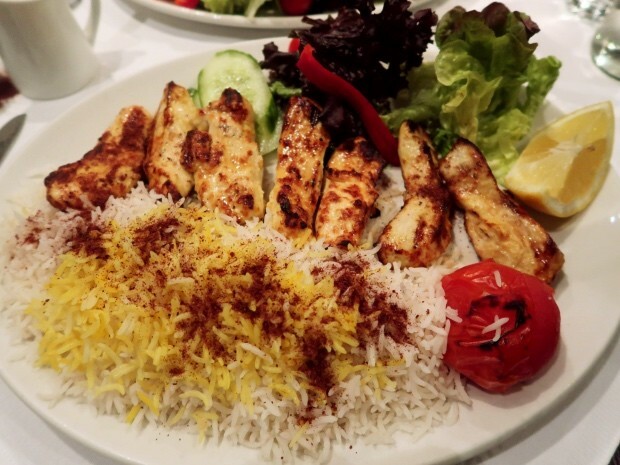 So, I’ll tell you about Pardis, a Persian restaurant based in Connaught Square in Marble Arch. Pardis has been around forever, but as a devout Alounak fan, I’ve always looked the other way. That is until BW decided to shake things up, and suggest we try somewhere new for once. The interior was a little old school, but that added to the charm of the Pardis. We got seated in one of the alcoves at the back of the restaurant and got ordering. 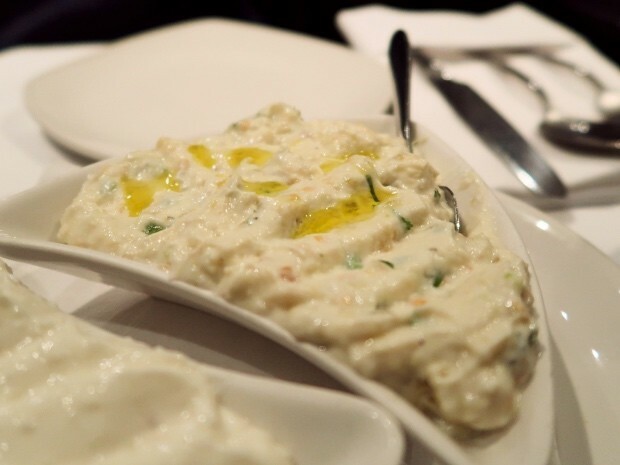 One of the best aubergine dips I’ve had in any Middle Eastern restaurant in a long, long time. No, it’s not Mirza Ghasemi (my least favourite – I heavily dislike the eggs and aubergine combination), and no, it’s not kashk-e-bademjan (made using whey and aubergine). It’s actually Nazkhatoon, dah dah dahhhh; super creamy dip consisting of chargrilled aubergines, green chillies, herbs, yoghurt, and garlic. 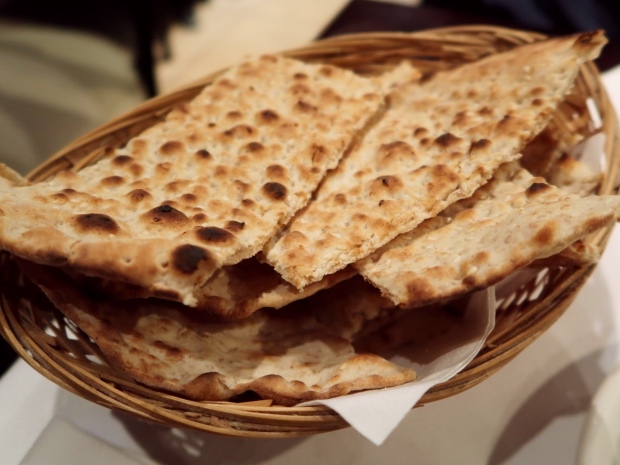 The occasional spikes of green chilli were a delight, and the combination of flavours were really fantastic when paired with the crusty house naan. 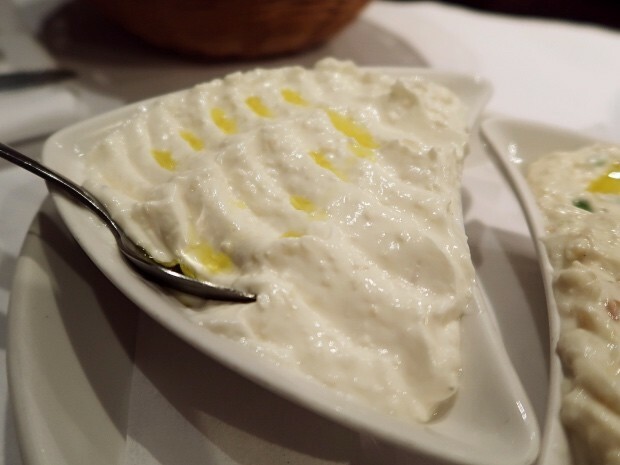 A yoghurt and shallot dip that made a good accompaniment to the main courses. Check out that glistening slick of butter on those koobidehs. 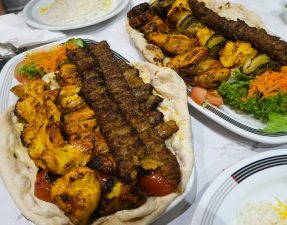 The kebabs were great; the fat it had been binded with melted nicely during cooking, making the koobideh retain its juices. Every bite burst with a meaty flavour, and it maintained it’s structure throughout the meal. 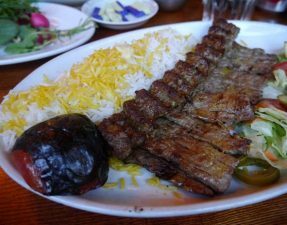 All it needed was a surge of seasoning to really make it a fantastic koobideh, but it a solid contender amongst all others. HUGE pieces of chicken pieces that had been marinated in saffron, lemon, and yoghurt sauce, before being placed on a grill. The chicken was of fantastic quality, and still remained soft and juicy long after the photoshoot was complete, but I found the chicken lacked slightly in that familiar lemony tang and aromatic saffron flavouring. 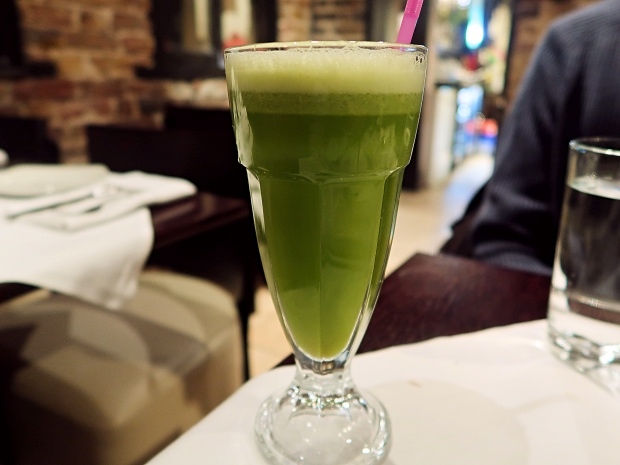 The total bill amounted to £50 for two people, so £25 each including drinks and service. 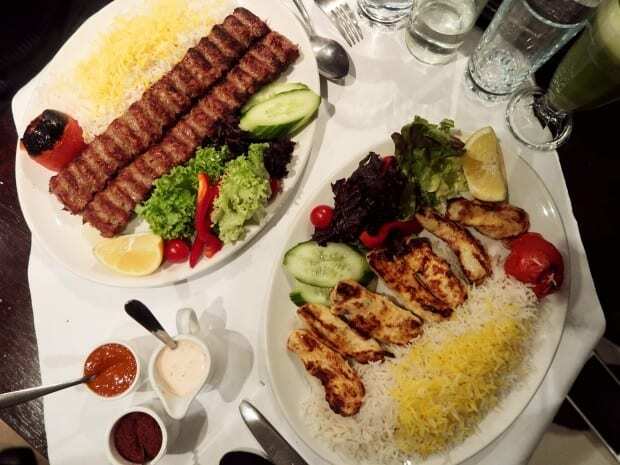 Sure, it’s one of the pricer Persians in town, but the portion sizes and service definitely justify the bill in my opinion. 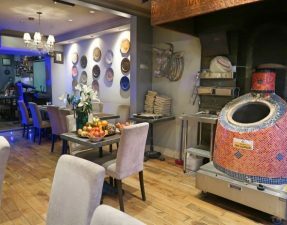 The restaurant was very quiet with only two tables being occupied on a Thursday evening, but I’ll put it down to Pardis’ location and that it was during Easter break. 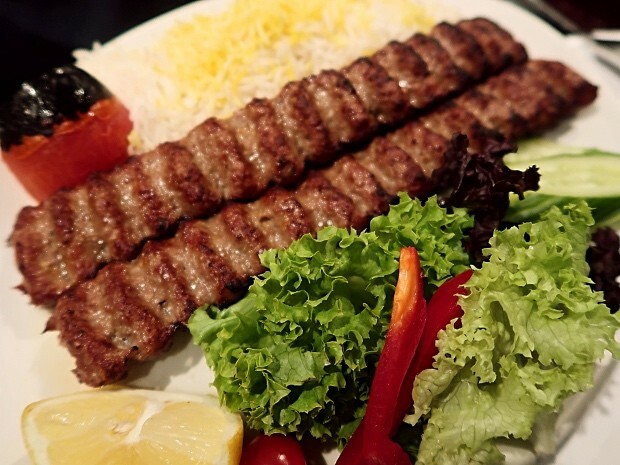 Do you have a favourite Persian? Leave your recommendation in the comment below! – No pork served here but alcohol present.